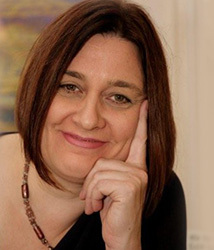 As a Clinical Psychologist with over 20 years of experience, Alexandra brings a unique, skillful and flexible approach to her role as a psychologist, drawing on her professional background in clinical psychology, systemic family therapy, performance and business. One of her strengths lies in building strong therapeutic relationships by ensuring you are given a safe space for your issues to be explored with an attitude of curiosity and respect. She is committed to providing you with new insights and practical tools to help achieve meaningful and lasting change. Alexandra is passionate about the importance of being truly attuned to your needs and values, considering your issues within the broad context of your relationships and life experiences. Alexandra has also combined her passion for the performing arts and experience as a vocalist with her professional experience in anxiety management, to complete research into the management of musical performance anxiety. Within her private practice, this knowledge and experience has allowed her to provide performers in various fields the skills to manage anxiety better and enhance performance. Performance Enhancement Coaching allows Alex to work with a range of performers including performing artists, educators, lawyers, students, academics across a range of levels of experience. Alexandra regularly speaks and presents at events on a range of topics including the topic of Performance Enhancement, Mindfulness and Acceptance and Commitment Therapy (ACT). Alexandra brings warmth, compassion, respect and humour to her work with you and she believes in the importance of adjusting her process and approach to fit your personality, communication style and request in each session. She believes that the quality of the therapeutic relationship and the trust is central to change. Alexandra will take the time to take a broad history of your concerns, understand your family background and relationship patterns and establish your motivation and goals for therapy in the first session. This will ensure that you have a clear agenda to commence therapy that is negotiated and continually renegotiated throughout the process. Alexandra is respected by those who work with and refer to her as a psychologist who provides a healthy balance of compassion, empathy and a practical approach when working with adolescents, adults, performers, couples and families. She is known to have the ability to work with complex issues and relationship dynamics skillfully and efficiently and draws on her extensive clinical experience and family therapy training to be more direct to shift stuck patterns when it is needed and appropriate. She feels privileged to have worked with children, adolescents, adults, couples, families and performers across a broad range of issues in community health, university counselling, primary health, a hospice and private practice over many years. Furthermore her experience as a Director and business owner as well as a professional vocalist gives many people who perform at high levels such as lawyers, teachers, CEO’s, performing artists and public speakers the assurance that she will have the ability to really understand the challenges associated with these roles as well as have evidence based skills and strategies to assist. Alexandra brings her belief in the benefits of mindfulness to her work and applies this to working with you in the consulting room, remaining very present, thoughtful and genuine in all her interactions. Alexandra is trained in a range of therapeutic approaches and tailors her approach to each client to meet their needs while drawing on scientifically validated approaches. Alexandra draws on her training in Cognitive Behavioural approaches such as Acceptance and Commitment therapy (a Mindfulness Based CBT) and Systemic Family Therapy to work with adolescents, adults, families, couples and performers, She has also completed training in the Gottman method for working with couples and recent additional training in the management of trauma and is constantly undergoing further professional development to ensure she provides up to date evidence based therapy.